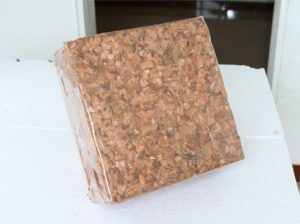 We have 5 kg coco peat husk chips briquettes which suites large farming if they apply directly for soil conditioning, composting, animal bedding or they can process to substrates. Better Product for Mulching is coco husk chips. It was applied at the stage of growing season and it regularly re-applied if necessary. It serves at first the soil to warm by helping it to retain heat which is left in the night. It encourages the faster growth and also allows early seeding and transplanting the certain crops. Mulch stabilize the soil temperature and moisture when the session a progress and it also prevents sunlight from germinating weed seeds.